35 art pages (8 ½ x 11) printed in non-photo blue/bagged. Used for story boarding your comic book story. 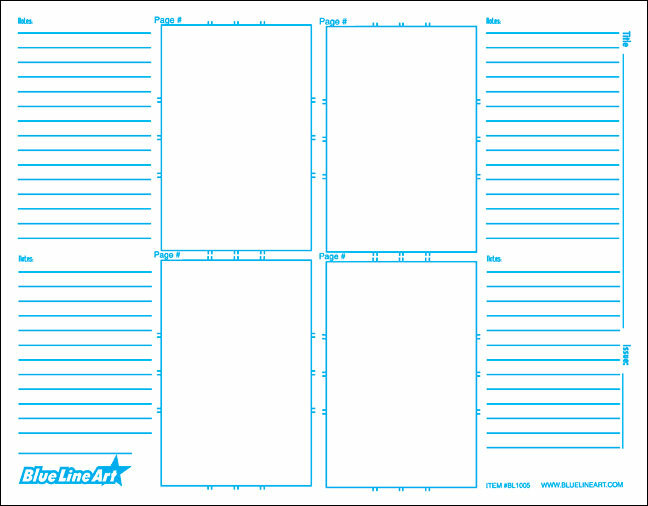 A great tool for artists or writers to work out details for the story along with the layout of pages. 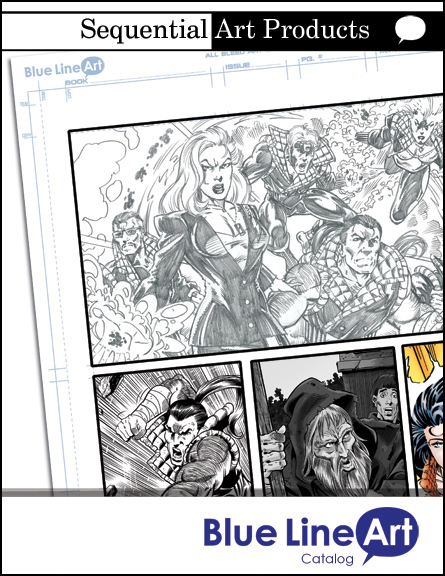 Comic Book Layout Pages uses premium bond paper printed in non-photo blue. 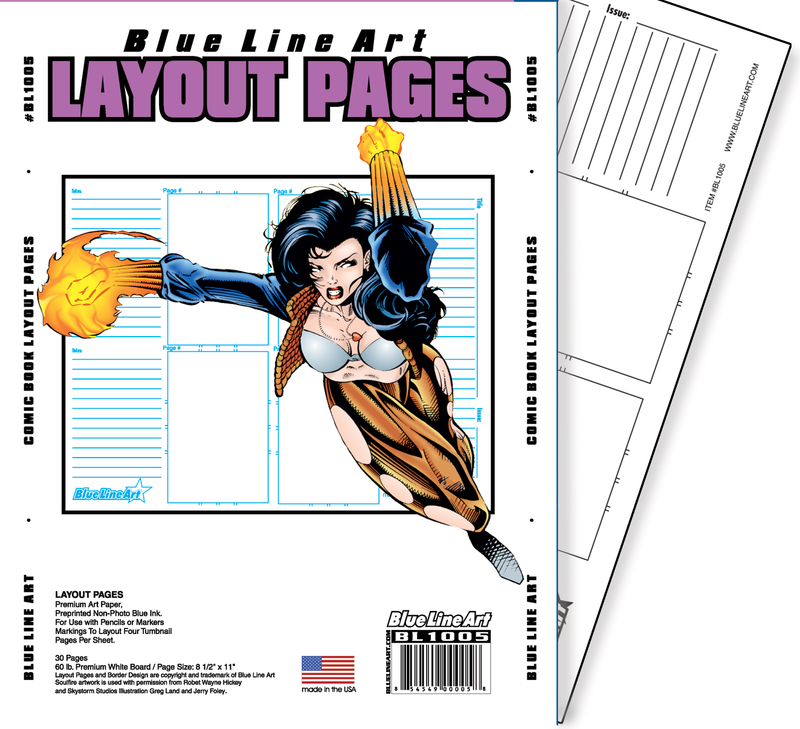 Layout pages feature markings to layout four thumbnails per sheet to detail your comic book page ideas and has room for notations and other information.